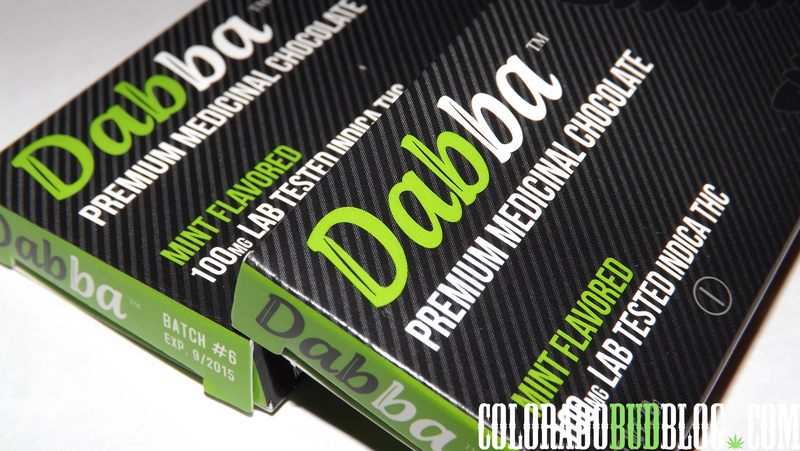 Tonight I tried out a Premium Indica Mint Chocolate Bar from Dabba Chocolate, and it definitely didn’t disappoint! My friend and fellow writer on here, chewberto420, said he really enjoyed the Sativa bar, so I figured I should give the Indica one a try. The packaging for these are very proper, and I really like the color scheme. This is an Indica based edible, lab tested at 100mg THC. It is tested by Rm3 Labs in Denver, CO, so you know you can trust it! 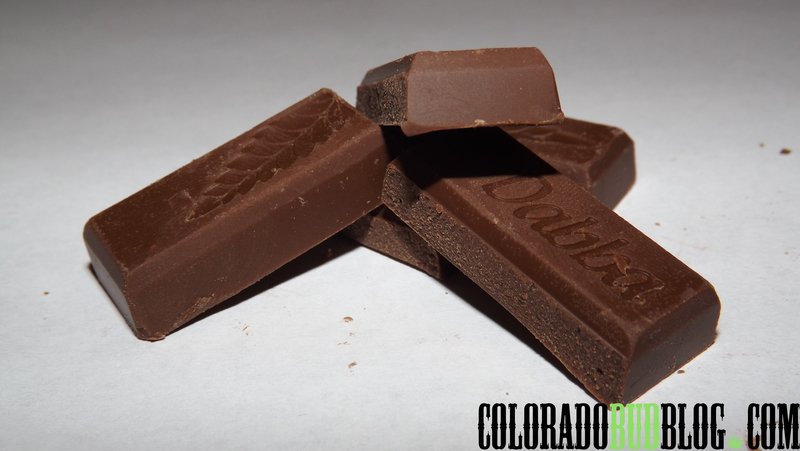 You can easily break up the bar into 5 pieces so you can perfectly control your dosage. The entire bar is 100mg THC, making each piece 20mg THC. This chocolate bar is very tasty. Classic milk chocolate with smooth peppermint to back it up. 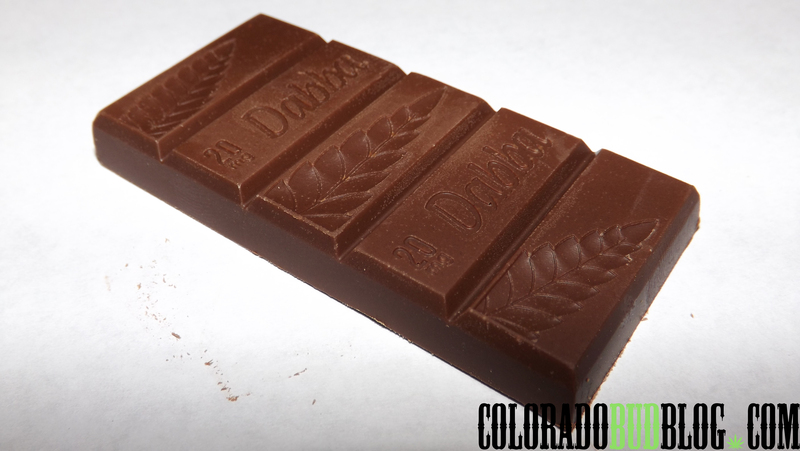 It tastes a lot like an Andee’s Mint Chocolate Bar, with almost no taste of Cannabis! This chocolate bar is very effective. I have a high tolerance, so I when I eat an edible I tend to eat it very quickly. I felt the full effects of this edible within 40 minutes, and I feel great. This edible is great for anxiety, insomnia, and pain relief. My body feels numb, and I have a major couchlock-effect going on. I am very relaxed, my mind feels at ease and I’m not over thinking everything like I usually do. One of the best parts about this edible is the fact that it is made with H20 Extracted Hash, or Ice Water Hash, so you know it is truly clean medicine. I feel like this is one of the most effective edibles I have tried in a while, I will definitely be getting some more to help my with my anxiety. I would highly recommend this to anyone suffering from anxiety or insomnia, or if you just want to be stuck to your couch for a few hours! 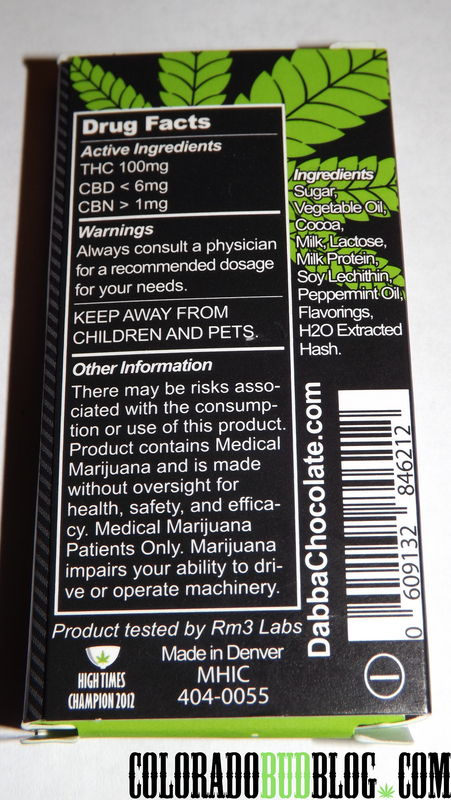 Pick up some Dabba Chocolate at Pagosa Organic Therapeutics, or check out their website for a full listing of where to find em, at http://www.DabbaChocolate.com! This entry was posted in CBD, CBN, Dabba Chocolate, Edibles, Ice Water Hash, Solventless, THC and tagged Dabba Chocolate, Edible, Indica. Bookmark the permalink.